Taking Ian Fleming’s original 12 James Bond novels, Higson, author of the Young Bond series and of Fast Show fame, has described the books in a series of twelve 140-character Tweets, one per book. Bond is a hugely popular topic on Twitter with over one million Bond-related Tweets appearing over the last month alone. Higson hopes his Tweets will introduce a whole new audience to the books that started his love affair with Bond. Bringing Bond fans closer to the action, Higson will also host a live Q&A session over Twitter on the 23rd between 1-2pm for Bond fans to ask him any questions they may have about Bond, the books, the films, the Tweets, to questions about being a writer. Simply sign on to Twitter and follow @monstroso and the hashtag #BondTweets to get involved. 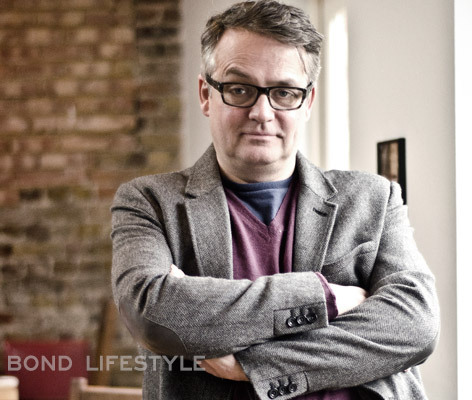 Bond fan Charlie Higson said: “Obviously I’m a massive Bond fan, so I relished the chance to be involved in this project. It’s amazing to think that these books were published almost 60 years ago and I’m delighted to have had the chance to bring these amazing novels to life for a new audience via Twitter. Bond fans who are already on Twitter simply need to follow @monstroso to watch the action unfold from 7.30am onwards. You can also follow the hashtag #BondTweets to see what other Twitter users are saying and get involved in the live Q&A over Twitter between 1-2pm on the day. If you’re not already signed up to Twitter, it couldn’t be easier. All you need to get started is an email address and a username - just head to www.twitter.com to get started.